When Secretary of State John Forbes Kerry sticks out his already protruding chin, you know he really means business, even if that business happens to be telling a lie. 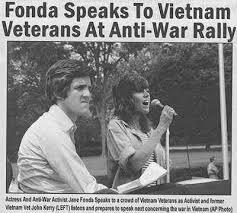 Kerry also noted that he had passed by “military checkpoints (in the West Bank) that can make even the most routine daily trips to work or school an ordeal” – delaying workers and travelers for hours every day. While John Forbes is no expert on travel in the West Bank, Ami Horowitz has earned the title of On Site Expert. A New York-based documentary filmmaker, Horowitz decided to test for himself whether it takes West Bank Arabs hours to travel from place to place because of Israeli roadblocks. In an interview with Israeli media outlets last week, Horowitz explained how he tested the checkpoint humiliation and delays of Arabs east of the Jordan River. He also interviewed Palestinians, who said it takes them ten minutes at the longest in line ahead of a checkpoint, barring traffic, and a minute for the soldiers to check papers and let him proceed.